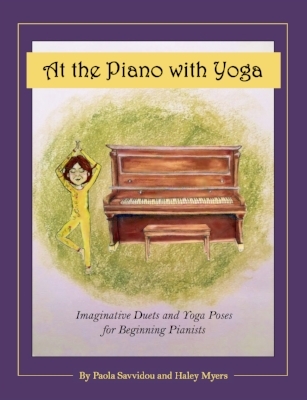 At the Piano with Yoga, a brand new book for beginning pianists with student-teacher duets coupled with yoga poses, is now available! Private piano lessons for students of all ages and levels of ability! For more information and to schedule your no cost introductory lesson click here and fill out the potential student form. Parent/guardian and child learn how to play piano together in a non-stressful and fun environment! Fill out the potential student form and learn more about this format by clicking here. Partner lessons are offered to beginning piano students who are similar in age. Click here to fill out the potential student form and to learn more about this format. "I was Dr. Savvidou's student for five years, and in those five years she enabled me to grow more as a pianist than I ever though possible!"